Following are some news stories from us, as well as some bulletins we've received that may be of interest to you. New Canada Suicide Prevention Service – by phone, text, or web! ON-BPD is now accepting applications to participate in our next session of Family Connections, a 12-week program designed to provide the adult family members and spouses of individuals with emotion dysregulation or borderline personality disorder with knowledge and skills for their own well-being and for better understanding their loved one. Our January session is full, but we have room in our February session. We also keep a waiting list, so don't wait to apply. To apply, please download and complete the application form, and send it by e-mail to intake@on-bpd.ca. Research has shown that providing information about BPD is not enough; adding skills to the mix makes a big difference to how well families cope with their loved one's disorder. Family Connections addresses the needs of family members by giving information about BPD and teaching them skills for improving communication and strengthening their relationships. A third element of the Family Connections program is opportunity to find peer support of others who understand and have lived our challenges. If you are an FC graduate or a trained facilitator, and do not receive an email invitation to attend approximately two weeks before the proposed dates, please send an email to karen@on-bpd.ca and an Eventbrite invitation link will be sent to you. Our website lists many, many books that we have found helpful or that have been recommended to us. If you're looking for gifts, you may find something useful there. 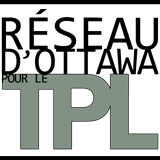 Malheureusement, il n'y a pas beaucoup de livres en français qui touche le TPL. Voici ce que nous avons pu trouver. Si vous avez trouvé d'autres, veuillez communiquer avec nous à l'adress info@on-bpd.ca. The Royal Ottawa Mental Health Centre has released a schedule of information and support sessions for family members. *Since the Province of Québec already has a governmental suicide prevention strategy, Québec residents are therefore invited to call the Québec National Suicide Prevention Line (1 866 APPELLE) to get help from responders who are also trained in suicide prevention. For more information, read the press release from Crisis Services Canada. *Puisque le Québec dispose déjà de sa stratégie gouvernementale en matière de prévention du suicide, les résidents du Québec sont ainsi invités à joindre le numéro de référence de la ligne québécoise deprévention du suicide (1 866 APPELLE) pour obtenir l’aide d’un intervenant également formé en intervention de crise suicidaire. Pour plusieurs renseignements, consultez le communiqué de presse du Service de crises du Canada. The National Education Alliance for Borderline Personality Disorder hosts two weekly call-ins. They are based in the United States, so long-distance charges may apply. First, “To Hell and Back” is hosted by Charlie Swenson and offers insights and teaching moments unique to Charlie's talents. The call includes guest interviews, discussions and the bonus of songs written and sung by Charlie. Held on Wednesdays at 4pm EST, the call has already made an impact on listeners. The second call-in is held on Sunday evenings from 8 to 9pm EST. The focus is on early prevention and intervention, supporting the GAP Initiative (Global Alliance for Early Prevention and Intervention). Great appreciation to Drs. Andrea Gold, Emily Cooney, Seth Axelrod and Carla Sharp who have created this special opportunity to hear from leading experts in the field on youth. Each week, in addition to the presenter’s talk and accompanying handouts, the host and presenter offer rich dialogue on the specific topic. Listener questions are also part of the hour. Parents' Lifeline of Eastern Ontario offers support for parents and caregivers that are open to everyone. No registration is required. They offer support groups in Ottawa as well as in some in regional communities. You don’t need to be associated with the facility where they hold the meetings to attend. If you don’t see one in your area but are interested, please call their telephone helpline to discuss. For more you can reach us at 613-321-3211 or toll free at 1-855-775-7005. Alternatively, you can fill out the form on their contact page or email info@pleo.on.ca. The current list of support groups is listed on the PLEO website. The Borderline Personality Disorder Patient and Family Education Initiative at Mclean Hospital in Massachusetts offers webinars and other educational resources for individuals and families affected by BPD. The next one discusses employment and relationships. Structure and vocational pursuits are often dreaded, feared, and avoided for individuals who are symptomatic with borderline personality disorder. With support from Dr. Mary Zanarini’s longitudinal research, this webinar will look at how getting back to work or working for the first time can directly impact recovery and facilitate remission. Registration information for the following topics is not yet available. Visit the Webinar page periodically to find out about registration.